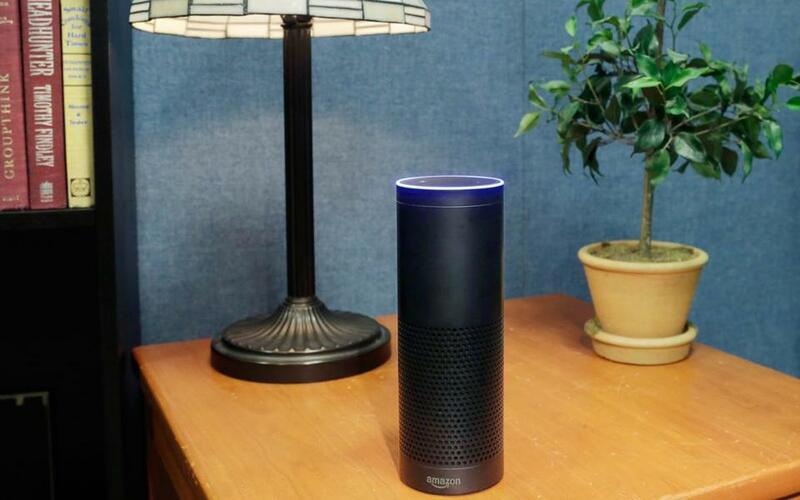 A New Hampshire judge has ordered tech giant Amazon to provide authorities with recordings from an Echo smart speaker with Alexa voice capability that investigators seized from a Farmington, N.H., home where two women were killed last year. The Nov. 5 order was issued in the case against Timothy Verrill, 36, who’s charged with killing Christine Sullivan and Jenna Pellegrini in January 2017 in a house on Meaderboro Road. Strafford County Superior Court Justice Steven M. Houran wrote that the Echo device may have captured the chilling moments when Sullivan was stabbed repeatedly. Pellegrini was also stabbed multiple times. The 6-foot-2-inch, 280-pound Verrill has pleaded not guilty to murder charges and several lesser counts stemming from alleged crime scene tampering. “The court finds there is probable cause to believe the server[s] and/or records maintained for or by Amazon.com contain recordings made by the Echo smart speaker from the period of January 27, 2017 to January 29, 2017,” Houran wrote in his two-page ruling, “. . . and that such information contains evidence of crimes committed against Ms. Sullivan, including the attack and possible removal of the body from the kitchen” during that period. Mason Kortz, a clinical instructor at the Harvard Law School Cyber Law Clinic at the Berkman Klein Center for Internet & Society, said it’s telling that Houran used the probable cause standard, which is the “highest standard for electronic searches,” in weighing the government’s request to obtain the Echo speaker data. The use of that standard, rather than the lower reasonable suspicion standard that applies for other types of searches, shows Houran is “taking seriously the fact that there is a privacy interest that falls under the scope of the Fourth Amendment constitutional right against unreasonable search and seizure,” Kortz said. Asked for comment on the order, the company released a brief statement. A public defender for Verrill couldn’t immediately be reached for comment. State Police currently have possession of the Echo speaker, which investigators maintain was lawfully seized from the grisly crime scene at 979 Meaderboro Road, according to court papers. Ppolice are attempting to scour electronic devices for evidence with increasing frequency, said Mark Bartholomew, a professor at the University of Buffalo School of Law who specializes in cyberlaw. Verrill is also accused of concealing the bodies by wrapping them in tarps and coverings and placing them under a porch on the property; pouring Prestone Driveway Heat ice melt onto a blood stain on the porch; and stashing a bloody sheet, Pellegrini’s belongings, and other blood-stained items in trash bags in the basement, the release said. Jury selection in the trial is currently scheduled for late April, records show.